Earth Day Pledge Thank You! Do you provide recycling services? 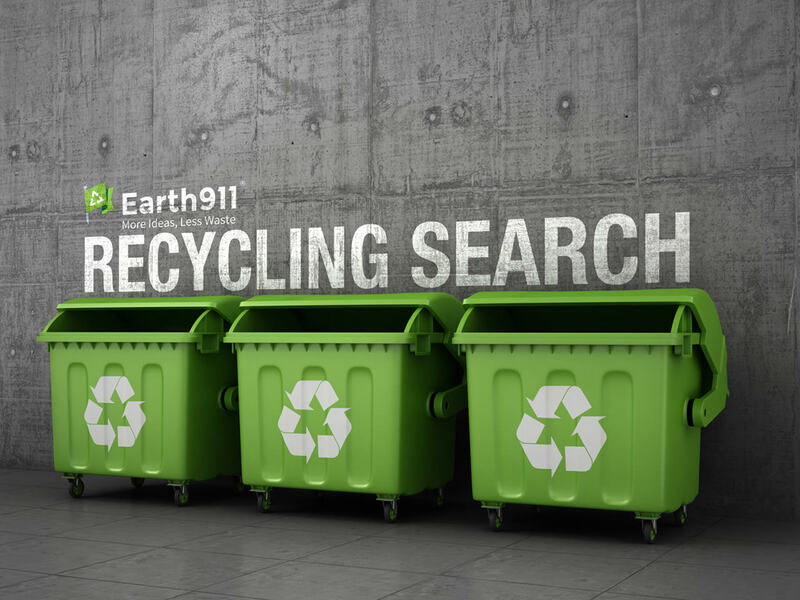 WELCOME TO THE EARTH911 RECYCLING SEARCH! With over 350 materials and 100,000+ listings, we maintain one of North America's most extensive recycling databases. Simply dial 1-800-CLEANUP, or simply enter in the material you are trying to recycle along with your zip code and click search. At Earth911, we’ve created a community that helps people find their own shade of green, match their values to their purchase behaviors, adopt environmentally sound practices and drive impactful environmental changes. We deliver a mix of targeted content and eco-conscious products that influence positive environmental actions so that you can live a happier, healthier, sustainable lifestyle; one that protects this wonderful planet we call home.